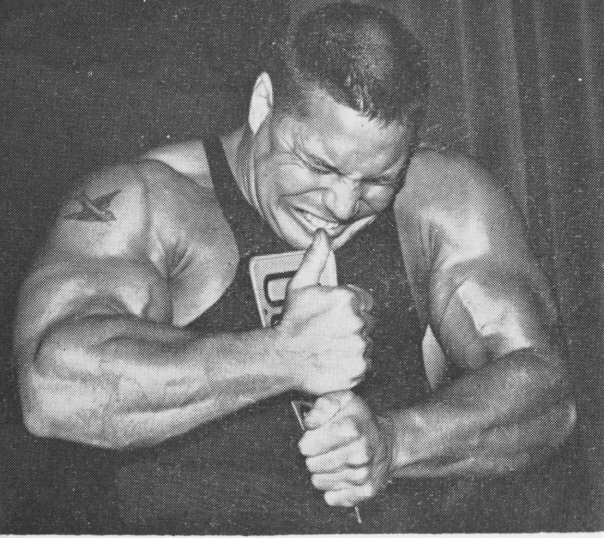 Bill Pearl sported massive forearms and had the strength to match. Forearm development separates the pump and pose, chrome machine junky from balanced physiques with strength and size synchronicity, to borrow the Jungian term. For form and function, forearm development is essential. In part I, I introduced you to the first half of forearm training regimen and here in the final piece. Like part I, a video tutorial is included and if you have not read part I, stop and do so now. The Farmer’s walk is one of the best overall strength builders and will work your grip and forearms to oblivion. We will perform farmer’s walks with dumbbells with the addition of fat gripz. The fat gripz increase the diameter of the dumbbell handles to 2.25 inches from approximately one inch. Because of this increase in diameter, you will have to grip the handles harder to hold the weight, activating a greater number of forearm muscles. After attaching the fat gripz to the dumbbell handles, lift them, keeping your back straight and your head in a neutral position. Start walking using short, quick steps. Walk as far as possible for 60 seconds, do this for two sets. The time is essential as forearms thrive under long amounts of time under tension. Do not wear straps, grip needs to be the limit factor. If you do not have fat gripz, do towel farmer’s walks. Because you start Zottman curls like traditional dumbbell curls, you use a load that is much greater than you could do on reverse curls. When at the top position of the movement, you rotate your grip to a pronated position and then lower the dumbbells in this position using a five-second negative, you demolish the muscle fibers of the forearm because of the overloaded slow eccentric. The fat gripz further exacerbate this effect and literally it feels like someone is trying to rip the dumbbells out of your hand. After attaching the fat gripz to the dumbbells, stand up with a dumbbell in each hand held at arm’s length. Your elbows should be close to your forearms. From a supinated position, while holding the upper arms stationary, curl both arms up until your biceps are fully contracted. From this position, rotate your wrists until your hands are pronated, lowering the dumbbells back to arm’s length at a steady pace of five seconds from start to finish. From here, rotate the wrists to a supinated position, this is one rep; perform three sets of six reps.
No fat gripz? Try wrapping a towel around the dumbbells. By now you know the wrist roller is a powerhouse for forearm development. Most people that train forearms only train wrist flexion, the more ambitious add wrist extension. But did you the know the wrist can radial and ulnar deviate? Radial deviation means bending the wrist to the thumb, ulnar is bending the wrist to the little finger. Just thinking twisting the top off a jar or hitting the enter key on a computer. You will use the exact same set up as described in part one for the wrist roller extension and flexion exercises. The difference here is in the execution of the movement for radial deviation you will grab the end of the barbell and twist your wrist toward your body, for ulnar deviation you do the opposite. You will do two sets of four reps for each exercise on each forearm. No bands—do radial and ulnar deviations resisted with a cable. You can tell a strong person by the size of their forearms! Large upper arms with small forearms kisses aesthetics goodbye. Regardless of desired activity you can benefit from strong, developed forearms. 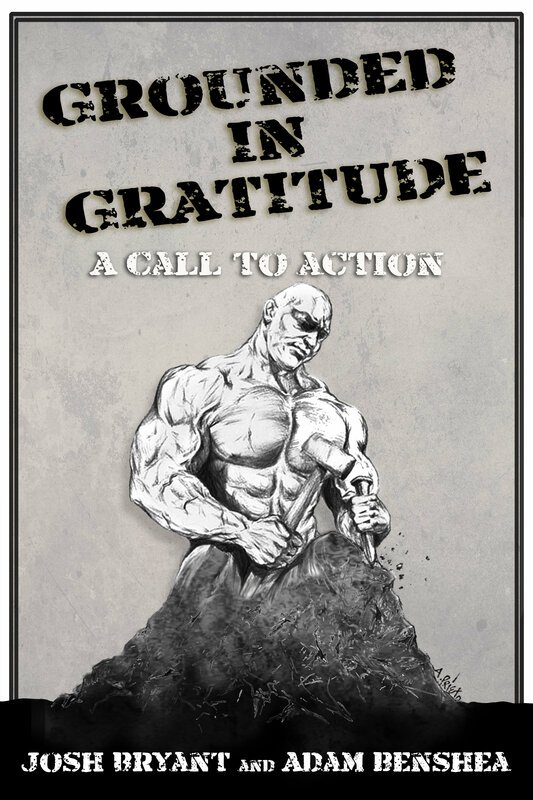 You now have the tools to pursue them! To maximize gains you have to maximize mindset. Check out our newest resource HERE.